It's time to get some sort of Project of the Month™ back up and running! I've decided that it's about time I finish something, and by "I" I mean all of you! Zoanthropy! I suggest you take a gander at the Archaeology thread, as that is the standard we should aim for! They general concept for our version of the commonly suggestion transformation skill is one that doesn't use potions, or pouches. Instead, you must capture spirits and allow them to posses you! But where we go in terms of creature is up to you guys! 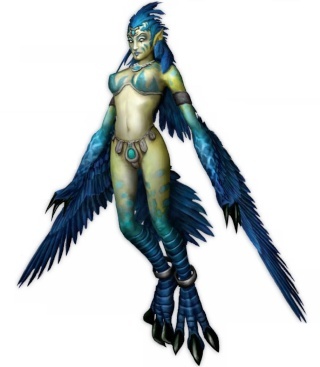 In World of Warcraft they have only a few beasts - bear-form, aqua-form, cat-form, etc. It's not like summoning with a big list. A thread on the forums has something similar, he has very few types of beast, and instead has it that levelling unlocks further abilities with a small selection of creatures. The two methods each have their pros and cons, few creatures mean players can easily pick out favourites and develop good tactics - a Summoning-style system means there is lots of variety, but usually the higher-levelled ones are better meaning all the earlier levels are almost wasted. I vote for a handful of creatures, but that's just me. Oh, and is anyone good at drawing simple? Make that more RuneScapey... it's a hand becoming clawed and padded. Numens are invisible to those not in possession of the Trinket of Sight (can be bound into an amulet, ring or bracelet to save inventory space), and they do not appear on the mini-map. It's entirely possible to receive a numen and not even be aware of it, whilst other players training nearby could be laughing at you because a ghostly-bear is back-handing you and you don't even know it's there. Note that Numens are "curious" - this means they will follow the player and not attack unless provoked. If ignored, like many of our retired Randoms, they will make "hollow attacks" at the player - these do not hurt, but it means the numen is about to cross. To catch a numen you require a baited vessel - these need to be discussed, but it's effectively an item for the numen to inhabit and an rare, specific drop from the beast as bait (Summoning could use the same rare items, such as a "Wish Bone" from chickens rather than raw chicken). The main thing that needs to be debated is if vessels should be a specific item, or from a collection of items (it had originally been planned that you could, for example, use something like Iron Claws as a vessel, and wielding them is what triggers the transformation - but a generic item could be used, even if it's avialable in grades, such as a Rusty Vessel, etc). To use the vessel effectively you should weaken the numen - however, you can try to capture it at full health. A numen cannot be 1-hit KO'd. 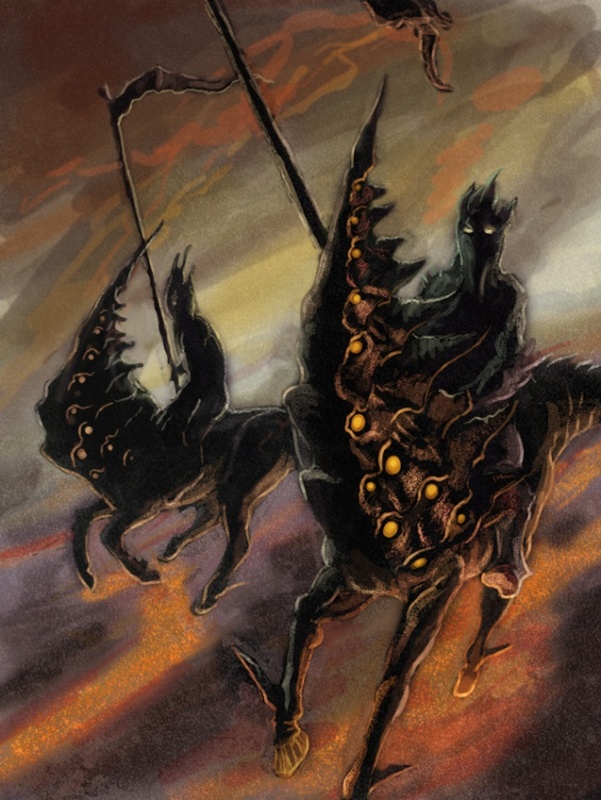 If you try to capture a numen and it is angered (whether it's because you didn't weaken it first, or you just go an unlucky numen - the higher your level, the better your chances) - it will either fight to the death, or fly into the ground and inhabit a corpse. This causes a skeleton/zombie to rise. If we go for a small amount of numens, then the skeleton/beast could be monster specific - otherwise, all numens could just luckily find the same shaped skeleton down there. Appearances are determined by which of the particular creature you kill, such as a Grizzly and Black bear, but the form itself is generic and each will differ only minutely from the former. Bear - Grizzly, Black, Polar, etc. Wolf -Wolf, Snow, Dire, not including werewolf, etc. Cat - Spined Larupia, Sabre-toothed Khytt, Horned Graahk, Dual-Phinned Mahryn, etc. Lizard - Lizards, Crocodiles, Daggonoth, dinosaur-like creatures etc. Dragon - Dragons, Wyrms, Salamanders, etc. Bird - Various hunter creatures. Brute - Jogres, Ogres, Cyclopses, possibly Ork, possibly Avianese, etc. Fish - Various fish and crustacean. Pig/Bovine - Cows, Yaks, Broav, Tri-Tusked Bhoar, Dhyllo [this creature is heavily armoured, pun or armadillo] etc. Critters - Rats, Mice, Raccoons, Aardvarks, Ferrets, Pandas, etc. Insects - Spiders, bugs, harpies, etc. Stallion - Unicorn, Dark Unicorn, the Stern, etc. Generic forms, whilst being similar, can have "dynamic" effects. In that one of cat-forms effects could be "Environmental", such as the hunter-outfits made from their pelts. The "Environemental" effect would depend on the specific appearance, and not the form. The Dual-finned Mahryn is the amphibian equivalent of the Saber-toothed Khytt or the Tri-horned Graahk. Whilst the land-based cat-forms have an advantage in their respective terrain, the Mahryn has the effect of breathing underwater - but both would, for example, count as the "Environmental" effect. The standard transformation is where the numen corrupts your physical form so that it becomes its own. However, a sort of "random" with the skill is that numens will occasionally prefer your genetic make-up to its own, and this will result in a were-transformation. These are animal-enough that you don't look human, but you still have that humanoid feel. This is why you cannot directly become a werewolf, on top of a werewolf being a curse and not a species. The "Harpie Swarm" becomes the "Harpie Spawn". 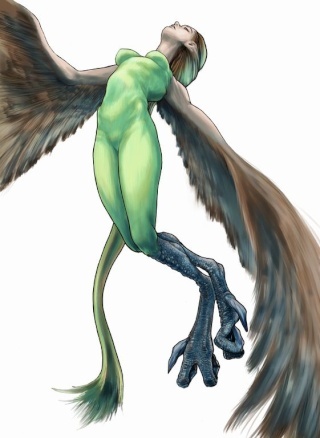 The Harpies are an bird/insectiod race who worship Armadyl, although he is referred to by another name (similar to the Big High War God and Bandos). It's always been hinted that the ring consumes us. One of the concepts with Zoanthropy is that the host must expel the numen before long else it will consume them - ie, take over completely. Fortunately the character does this without player interaction. The Ring of Charos would be beefed up, epically, but you could only wear it for an 30 minutes before the "The Ring of Charos begins to burn on your finger, you decide it'd be safer to stow until it cools." The Ring cools down after an hour, and you can use it again. I'm not sure how this should work for quests, whether quest interaction should be excluded from the rings cool-down effect, or you should just have to wait. Maybe it'd be better if the Ring had charges, and a 24 hour cool-down (if it's upgrade is truly epic). Quest intereaction would simply not affect charges. It's hard. I think it's more of an aesthetic distinction than an actual logical thing. You cannot summon a gnome spirit in Summoning and I don't think you should be able to become a gnome in Zoanthropy - but that might just be because they are pink-skin, flat-food, humanoid creatures. However, there could be a logical reason to it. Humans leave ghosts when they die, as could Gnomes, Dwarves and Elves. Ghosts are, in effect, echoes of the deceased. A numen, on the other hand, is an invasive spirit that requires a physical connection to our realm to remain here - otherwise they cross over. I think it's only the higher sentient that possess the ability to choose whether they stay here, other creatures do not have such choice. As for birds, it depends if we go for Terrorbird or a flighted-bird. There is only one bird-form, though there may be other airborne forms, and we can't have both. So Insect has wasp and beetle, the only difference I can think of is beetle can only use tunnels for shortcuts, while wasp can use grapple and jump over ones. Also their farming ability could also be a little different. Maybe we should just go with only transforming into a beetle, but once you die, you turn into a wasp similar to the kaplhite queen. Monkeys! We need Monkeys! What vessel would we use? Hmmmm...I dunno? Finally Zoanthropy could be the answer to the constant requests to be a monkey anywhere...just imagine the potential! So... Insects have two lives? Sounds epic! Ye, but then they would be weaker, but their special abilities would be more useful. Also I imagine wasp form somthing like the giant wasp from Karamja, dunno about the beetle. Kalphite like? Cockroach? Scarab? There are too many beetles! That one with horn? SO helpful, I'll just make it large and pink, like a fairy. Black spots on red or stripes? Lol, the one with the horn seems fine. That strange elephant beetle or hercules or whatever it is called? Hmm, we could stick to only wasp form. It would be hard to make two different forms with roughly the same powers. Also each form would be too weak if we must balance out the transformation part. Wasp is speedy, increased movement speed; Beetle is defensive, slowed movement speed. All other effects could easily be the same. But yeah, one form can work! Hmmm, in my opinion one form would be best. Also the form could be something like the praying mantis. Damn there is alot of insects. I think insect is too broad of a form... we have bear, wolf, bovine... not one "mammal form". I think three insect forms would be good... flight, armoured and spider/worm. SHouldn't we just go with Armored and flight? It doesn't matter, the main animal groups are mammal, amphibian, fish, bird, insect and reptile. If we are giving mammal multiple forms, then amphibian, fish, bird, insect and reptile should also. There will be more mammal forms than bird, obviously, but doesn't mean we should only have one bird. I think Terrorbird and Bird is fine (colour variations for bird is all the hunter birds - not all numens need to appear in combat). For insects, Wasp and Bombardier Beetle, or Rhino Beetle, or something. You know...it would be really interesting if we could make it so that players could only effectively kill certain zoanthropified people/animal/whosawhatzits with proper slayer gear...basilisks...cockatrices...etc. Would make Slayer more useful. Yea... but who carries slayer gear around with them? I had some ideas in the runescape thread and I am thinking of abilities for it, Hellhounds. Could I see the improved full list of numens(Including abilities) I am trying to chart things out so I can work on making some abilities.